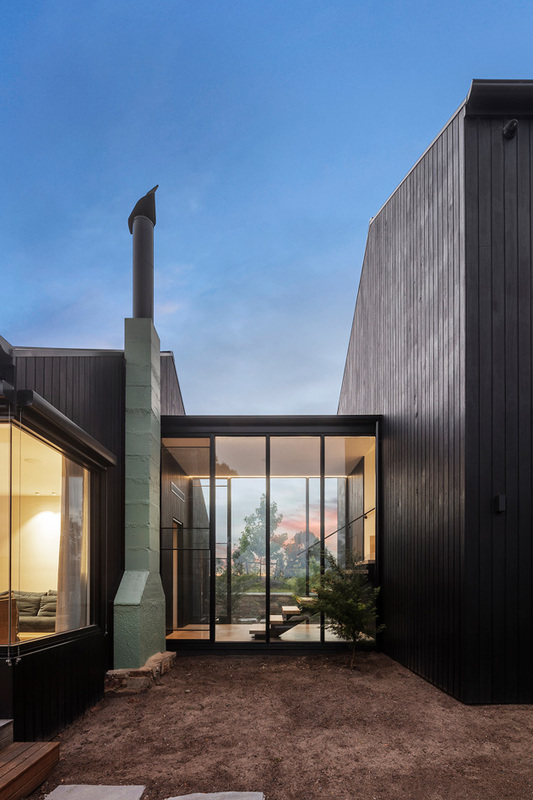 24 km north-east of Melbourne’s CBD, you’ll find the tranquil suburb of Warrandyte. 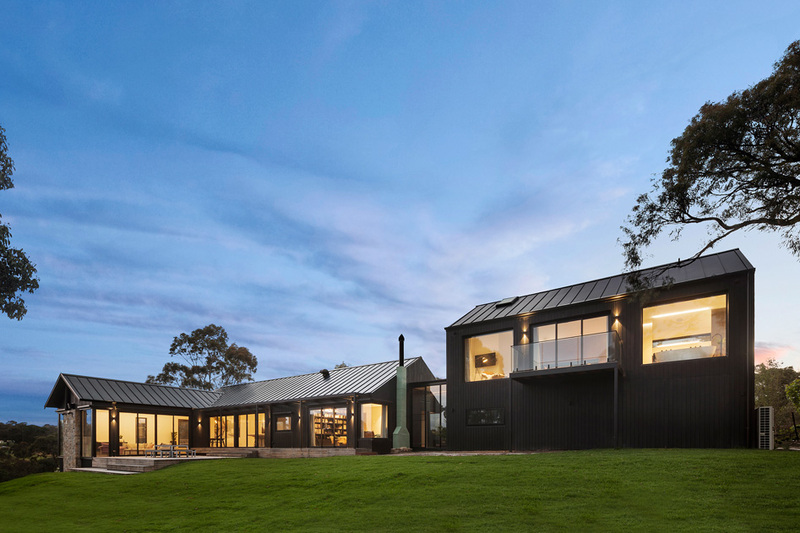 Amongst the stunning scenery, a newly built, modern country-style home showcases various Unios products. 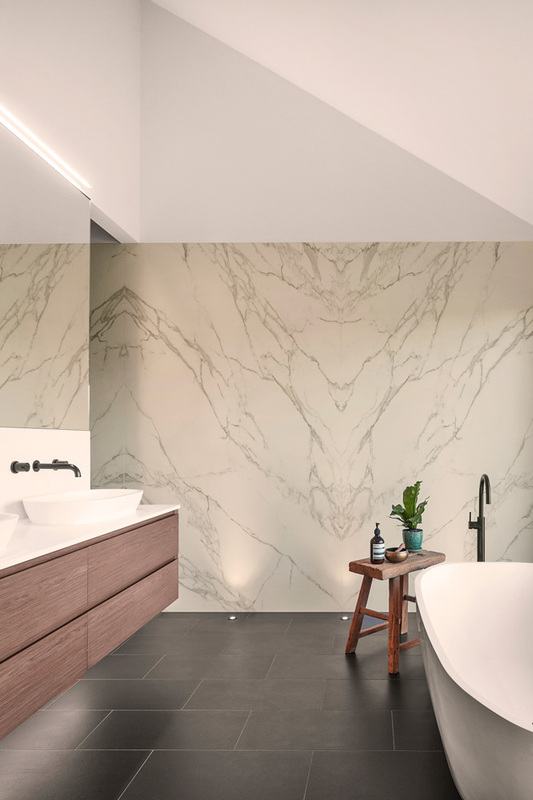 Lights & Tracks supplied and designed the lighting concept for the residence; utilising downlights, track lights, and strip lighting throughout the stunning home. 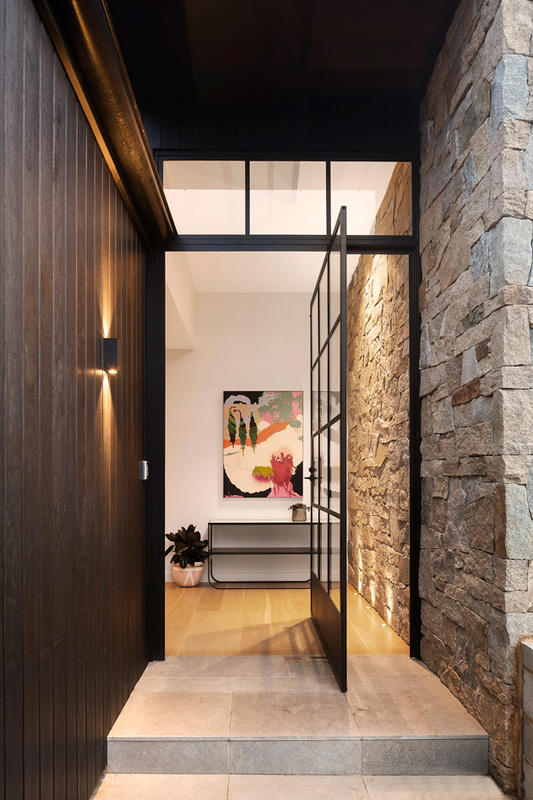 Upon entrance, the Zeron Mini adds a striking feature to the exterior, making this home an absolute show stopper once the sun goes down. 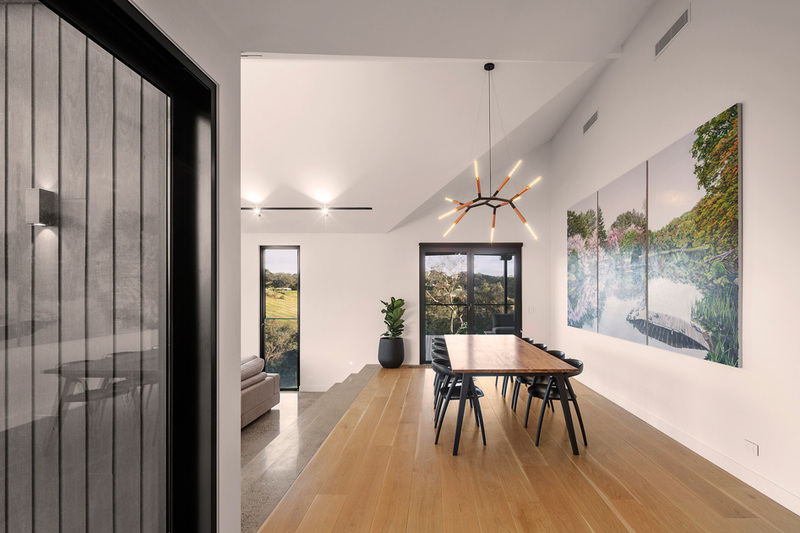 Moving into the open-planned living space, we see the Axis Track Light employed in a unique style. 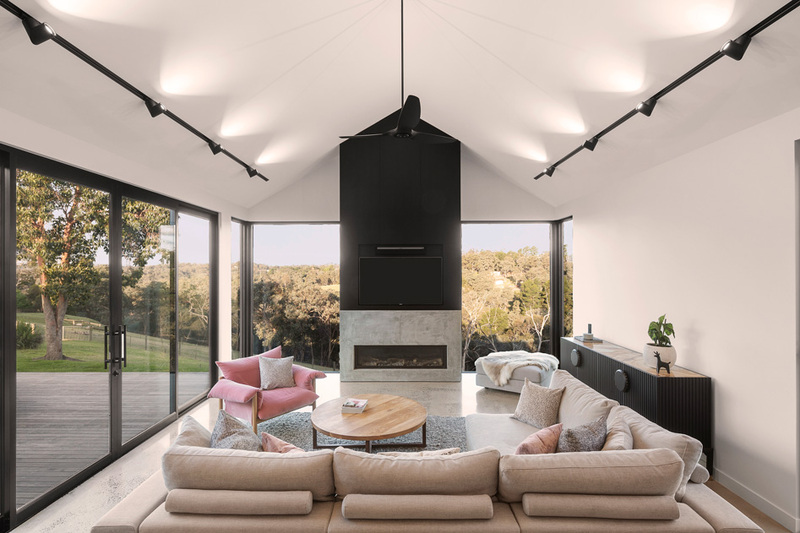 Rotating the lens head to spread an evenly diffused light across triangular raking ceilings; this elegant technique highlights the unconventional structure of the home while providing functional and contemporary illumination. 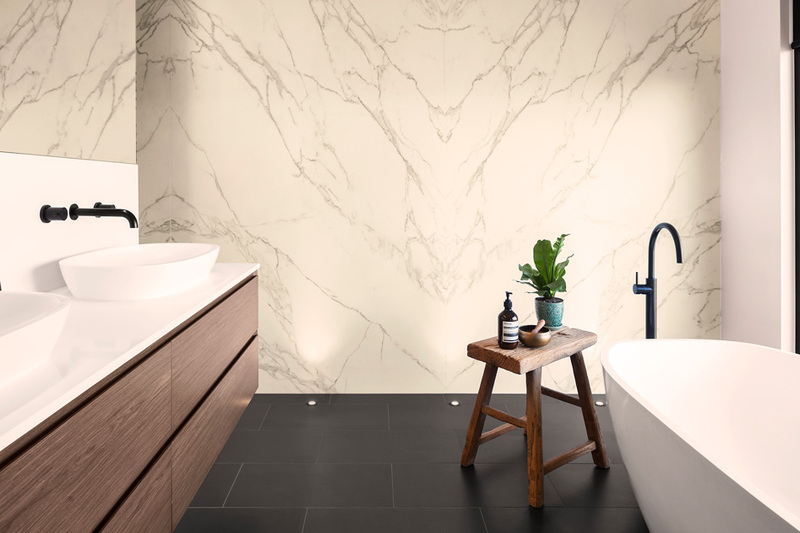 The Cluster Inground Uplight produces a sharp beam in the bathroom, lighting marble walls and providing a modest uplight to the space from its honeycomb lens. 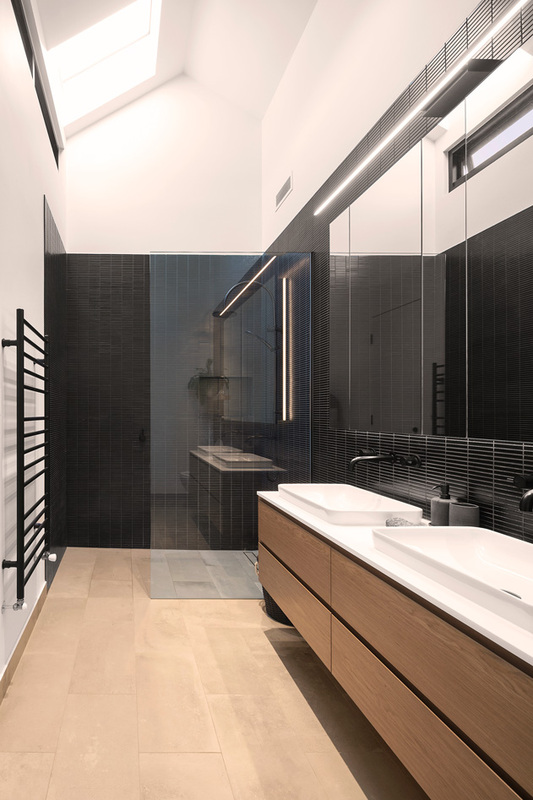 With the Eclipse Strip Light resting above the mirror, this use of the Eclipse ensures an even distribution of white light is cast, without any patches or shadows. 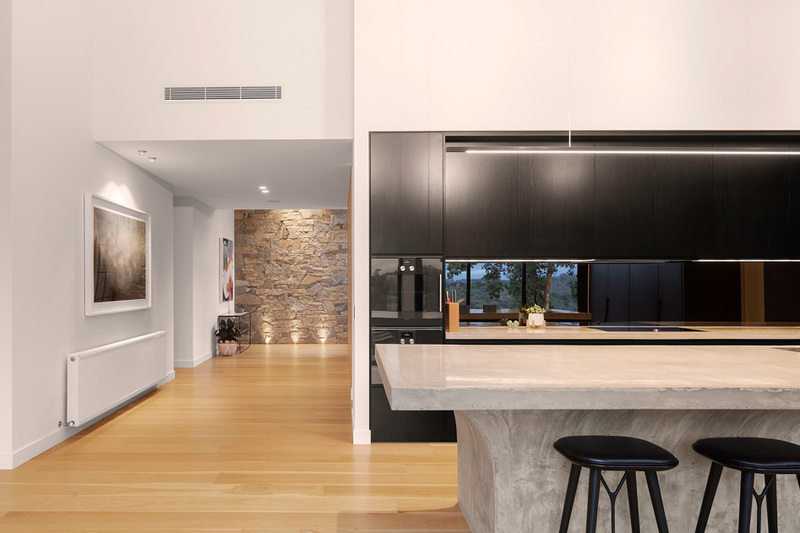 We see the Switch Downlight Series providing a directional illumination in the kitchen. The Switch was designed as a shape shifting downlight that can switch modes from a sleek semi-recessed downlight to an adjustable downlight for spotlighting. 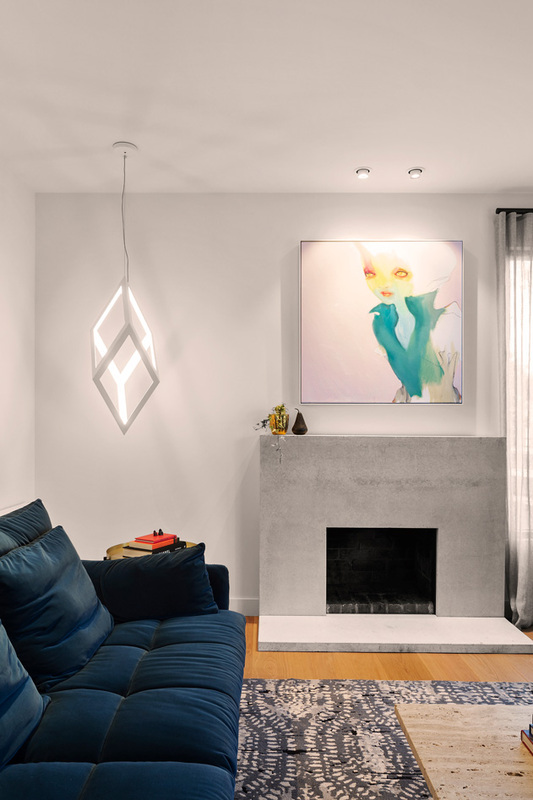 The Switch also highlights feature artwork in various living spaces with its direction beam, while the Titanium G2 Downlight provides more general illumination throughout the home. 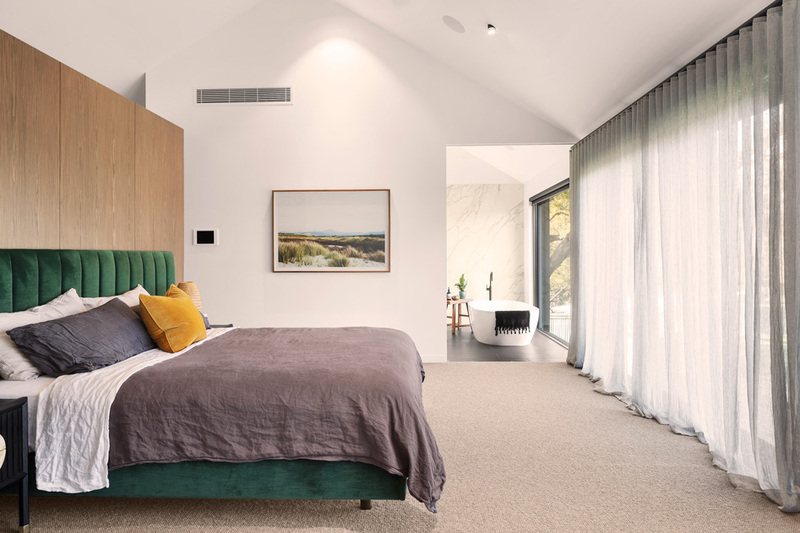 The contemporary residence in Warrandyte employs a unique lighting concept which showcases just how versatile Unios luminaires can be.